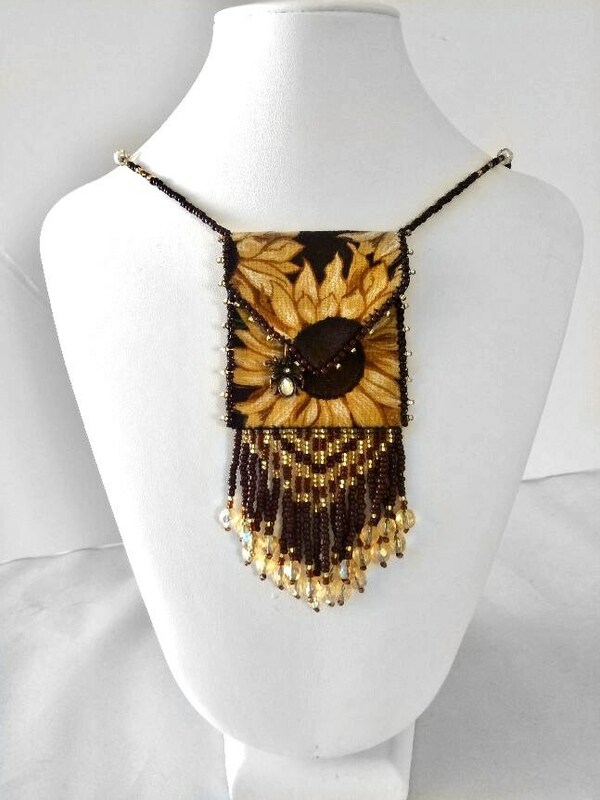 The Sunflower Beaded Bag Necklace is designed with 100% cotton fabric bright golden yellow sunflowers, this beautiful beaded fabric amulet is accented by the highest quality glass beads in gold and chocolate brown. It also features a glass bead fringe ending in faceted glass beads, and a glass bead strap. A cute honeybee charm and a strong snap closure complete the Sunflower Beaded Spirit Bag. SIZE – The entire length of the Sunflower Beaded Pouch from the halfway point of the strap to the end of the fringe is 16.5 inches. The bag itself is 2 inches long x 1.75 inches wide and the fringe is 2.25 inches long at its center. 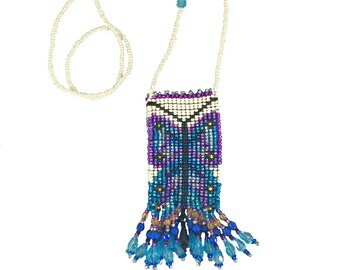 *All beaded bags come gift boxed in a white box with silver ribbon. The gift box is mailed inside a brown shipping box. 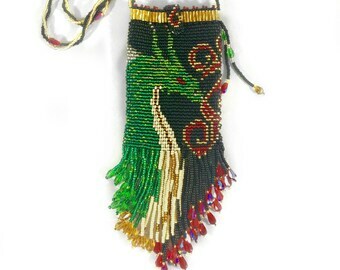 Each bead is sewn through several times to give strength to every bag and piece of jewelry; however, the beaded bags and pouches are not toys and we do not recommend them for children under 13. All products at Designed by Joelaine are hand crafted in a pet friendly and completely smoke free studio..